By now I shouldn't be surprised by these kinds of things, but I was a bit stunned to find out that I attended high school in Braintree, Mass. with the accused shooter at the University of Alabama. Not only that but I also attended high school with the brother she mowed down with a shotgun in 1986. I left Braintree as soon as I could and never went back. It was a normal enough town, on the surface at least. But there was a very weird undercurrent at work there, particularly in East Braintree where I grew up. And I wasn't the only one who sensed it. A friend of mine from the same part of town used to call it "Twin Peaks East." Appropriately enough, this is the place where I had my leprechaun 'encounter', and there's been other weirdness in EB as well, such as a dying dolphin showing up in a river behind an apartment complex I once had a paper route in. A fresh water river, I might add. I used to chalk a lot of it up to the fact that there was/is a major gasoline depot on Quincy Avenue near the old General Dynamics shipyard, and that the lead in the gasoline was causing aberrant behavior in kids, particularly in the nearby junior high school. Kids were constantly fighting then, and there were a few incidents of truly brutal and horrific kid-on-kid violence. I did notice that the tenor of the town changed quite a bit when leaded gasoline was taken off the market in the early 80s. There's been some studies to the effect of lead on children, particularly in regards to violence. But in December of 1986 there was an weird outbreak of murders involving young people and the accused University of Alabama shooter Amy Bishop was at the forefront of it. There was also a local townie who murdered a girl and buried her in a yard I used to cut through every day on my way to Jr. High, and a thrill-killing of a pregnant woman outside a convenience store. The Braintree police chief sparked a firestorm yesterday over the case of the rampaging science professor arrested for killing three colleagues in Alabama on Friday, alleging the woman was freed decades ago after a politically derailed investigation into her fatal shooting of her own brother. 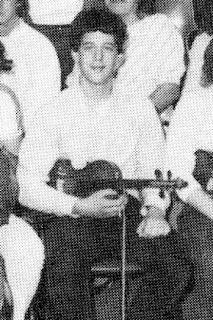 On Dec. 6, 1986, Frazier said, then-20-year-old Amy Bishop blasted her brother, Seth Bishop, 18 - described in newspaper reports at the time as a talented violinist and science student - with a shotgun during an argument, fled and was then arrested by cops at gunpoint. That, Frazier said, is where the investigation of the case stopped. I knew Amy Bishop by name, but that's all. 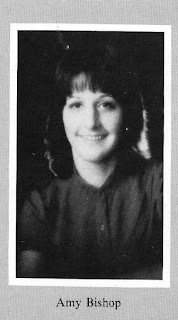 She lived in a neighborhood where I spent a great deal of time in my wild days, but her yearbook pictures (courtesy of a Braintree friend) don't look familiar to me at all. You can make of this what you will- I think there's a lot going on under the surface here, typical for Braintree. I found it interesting that Bishop was in denial that the Huntsville shootings ever happened, but it appears not to be a first-time deal for her, obviously. The story behind her brother's shooting is a lot more incriminating than people knew at the time, and this is bound to cause a major scandal since the DA at the time is now a US Congressman. HUNTSVILLE, Ala. (AP) — Huntsville officials are working to save NASA's program for sending astronauts back to the moon. Mayor Tommy Battle and others will introduce a new task force on Friday to lobby for the Constellation program. The group will be led by former Democratic Congressman Bud Cramer. Some 2,500 jobs are connected with the work at NASA's Marshall Space Flight Center, located at Redstone Arsenal. The Alabama Legislature has passed a resolution urging President Barack Obama to reverse a decision to end Constellation. There's a lot more to this story- the Braintree situation may be even more explosive than the Huntsville tragedy. I'll keep you all posted if I have anything more germane to say on the topic. You are very correct. As I have said, I have known Amy since she was 17. Amy has NEVER been able to effectively communicate or connect with another human being. She was just missing that part of her brain.... She left Harvard after getting her degree because she couldn't get a position in the Boston area. She is brilliant, but out side of using technical language in a scientific paper or doing complicated research, she can't communicate in a way people understand....so she couldn't get a position. This is not a case of environment - it is a case of a woman stuck with a brain that just didn't function appropriately. I always found it interesting that she chose neuroscience to study and had a keen interest in mental illness....I think that even she didn't understand herself and wanted so badly to change. 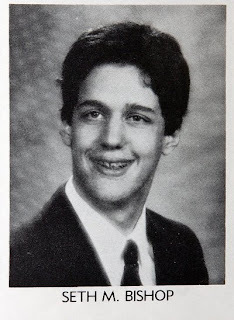 UPDATE: OK- I definitely recognize both of them from these high school yearbook pictures. I'm almost certain that I was in a few classes with Amy. Seth was a couple grades below me, but I know his face. Photos courtesy of some Braintree homeboys. One writes this: "In her "Senior Class Will" she left her violin and her music to her brother Seth." PS: I'm almost positive that one of those classes was 'Science Fiction Literature', which was a junior-senior elective. We read Dune and The Puppet Masters. The professor who is accused of killing three colleagues at the University of Alabama on Friday was a suspect in the attempted mail bombing of a Harvard Medical School professor in 1993, a law enforcement official said today. Amy Bishop and her husband, James Anderson, were questioned after a package containing two bombs was sent to the Newton home of Dr. Paul Rosenberg, a professor and doctor at Boston's Children's Hospital. 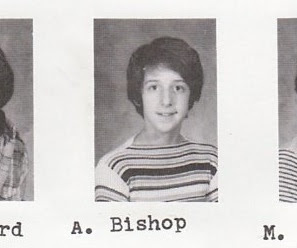 During a search of Bishop's computer, authorities found a draft of a novel that Bishop was writing about a female scientist who had killed her brother and was hoping to make amends by becoming a great scientist, according to a person who was briefed on the investigation and spoke to the Globe on the condition of anonymity. Incredibly disturbing. The Globe also has it that Bishop is 44 and not 42 as originally reported. I don't know which age is correct (footnotes deleted). Before Bishop and Anderson moved to Alabama in 2003, they lived in a tight-knit community on Birch Lane in Ipswich with their three daughters and son. Neighbors described Bishop as an angry person who often called police when teens were playing basketball or skateboarding in the neighborhood, and yelled and cursed at children for being too loud. “She wouldn’t let the ice cream truck come down the street,’’ said one neighbor, who declined to give his name. Ipswich police confirmed two calls for neighborhood disputes from Bishop, but did not release any details. Bishop also called police on March 8, 2002 to report receiving harassing phone calls, police said. “I just feel like she was a ticking bomb who could have gone off on any of us,’’ Denise Mootafian said. Shortly after fatally shooting her brother in 1986, Amy Bishop held two men at gunpoint and demanded a getaway car at an auto repair shop near her family's Braintree home, according to one of the men involved. Carrying a shotgun by her side, a 21-year-old Bishop walked intently across a car lot into the adjacent storefront, where she began searching for car keys. Coming down from the second floor, she was heading toward the garage when she ran into Tom Pettigrew and a friend, who had spotted her in the parking lot and came to investigate. "Her gun hit me in the chest," Pettigrew, 45, recalled from his Quincy apartment. "I yelled, 'What are you doing?' and she screamed at me to put my hands up. So I put my hands up." Later, Braintree police briefly questioned Pettigrew and several other employees, and authorities never contacted Pettigrew again. He read in the paper the family shooting had been ruled an accident, and that Bishop was not charged with a crime. "It was almost like they wanted to put it on the shelf and forget about it," he said. "I think if that happened to me I'd be wrapping up a long prison sentence. But with this, it seems like they just wanted it to go away."